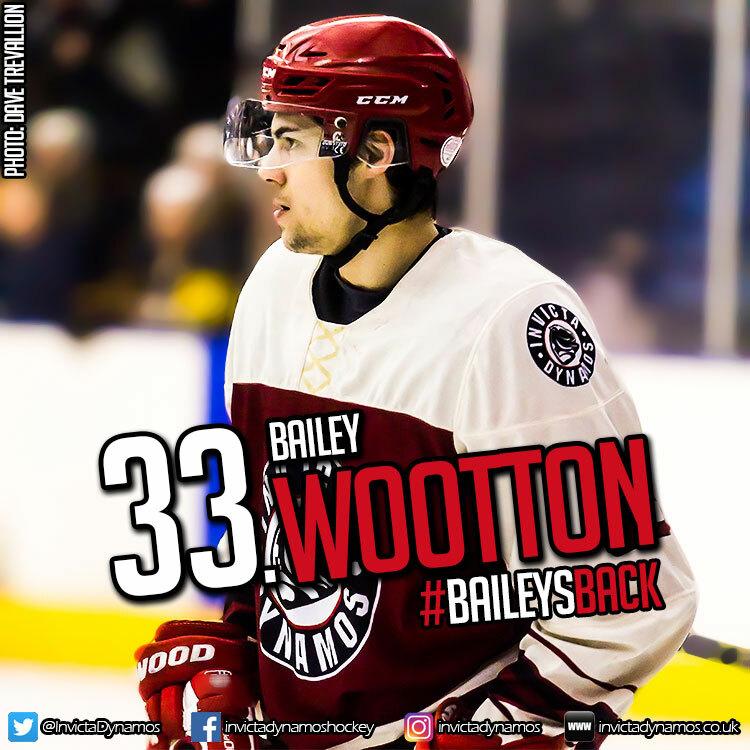 Invicta Dynamos fans can expect to see the best of Bailey Wootton in 2016/17 after the 19 year old forward re-signed for the club where he spent the majority of his junior years. Bailey Wootton is no stranger to hockey in Gillingham having risen through the junior ranks in Kent before excelling for the under 16s between 2010 and 2012. In 2010/11 the forward’s 21 goals and 30 assists in just 15 fixtures jettisoned his side to second in the league and made him the third highest scorer in the division. He surpassed that achievement in 2011/12 – 38 goals and 50 assists giving him a remarkable tally of 88 points in 19 games. The following year Wootton progressed to Lee Valley to captain their under 18s outfit before stepping up to represent the senior side in the NIHL South Division 2 by 2013/14. 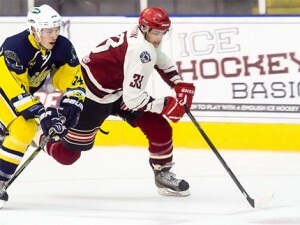 In 2015/16 the NIHL South’s top tier inevitably came calling for Bailey Wootton as the London Raiders offered him a roster spot and his performances caught the eye of Invicta Dynamos Head Coach Kevin Parrish who tempted him home last season. Back in Kent, Wootton dressed for the Mos 33 times and he finished the campaign with 22 points having tallied 11 goals and played a role in 11 more. It was a solid return for the skater who found the middle of his season hampered by an unfortunate injury but he came back to the ice and to the scoresheet as the competition neared its end. Now he will be hoping to stay injury free and produce the best hockey of his career so far as he re-signs for the Dynamos for 2016/17. Speaking on the return of Bailey Wootton, Head Coach Kevin Parrish said, “I’m very pleased Bailey has agreed to return and I think we’ll see the best of him this coming season. Both before and after his injury Bailey produced some good hockey and scored all types of goals be they the two foot rebounds or the highlight reel solo skates. He’s still only 19 and maturing as a player and 2016/17 is the chance for him to take his game to the next level once again. He has all the attributes to become a top performer in this division and I’m confident he will be an asset for us over the course of the new campaign”. Bailey Wootton’s return makes him the third forward on the Dynamos roster following the re-singing of Joshua Condren and capture of Mason Webster earlier this off season. For news of another returnee be sure to check out our website, Facebook page, Twitter feed or Instagram at 7pm on Friday. Warm-up Jersey – For just £125 get your name or logo printed on the back of Bailey Wootton’s warm-up jersey. Sponsors are then presented with the jersey to keep at the end of the season. Game jerseys – Get your name or logo on the back of Bailey Wootton’s game jerseys and become a part of the action.